In other reviews this book has been compared to Alice in Wonderland and I agree but I would also add it is a bit like Wizard of Oz. I couldn't finish it. Maybe it is just me but I couldn't really grasp what the story was all about. I'm sorry that I can't give a better review, maybe I will try another book by this author. I received this book for free but the opinion is mine. This was definitely a very interesting and intriguing story. Lots of fantasy elements that are used in a completely different way which is what makes this story very different from most. Definitely makes you think about life in a different way. 4.5 stars as there was a few sort of confusing parts but an overall awesome read. Interesting, not sure if it was for me. I'm not sure how to feel about this book, if I'm being really honest. I listened to it twice and I'm still unsure about it, which is highly unusual for me. I dont think I was able to relate to November, or maybe I just didn't like her as a character. Thus making it harder than normal for me to stay engaged in the book. I liked the architect and Klaus! I also think that this book would have been a better read along than just audio alone. From my understanding there are graphics involved that may have made things make more sense. I like the overall structure of the book, I think it definitely was unique. The book was very heavy and a lot to digest though, for me personally. The narrator did a great job with this. Very clear and distinguished between the characters well. Overall, I think it was a decent read with a good message, that was a little heavy, and very possibly not for me. Now that’s what I call a thinker! This audiobook was a pleasure to listen to, so many interesting concepts! It's unlike most things I've ever read, I was totally captivated by it. Great story, fun to listen to, great narration. Enjoyed this book, a bit hard to follow at first but it gets very interesting if you like fantasy with a message. Interesting story line but I enjoyed it. The narrator done a great job telling the story. I'm not sure that I really loved this book, and I'm not sure that I don't, but I certainly found myself captivated by it. This was in part due to James Abbott's storytelling prowess... he was Awesomesauce on toast! I'd noticed that in several of the reviews that I've read, people are saying that it is reminiscent of "Alice in Wonderland" but since I haven't read that book (Yeah,yeah... I know... sheesh!) I felt that I would be stepping into the book with a fresh perspective. I found it to be totally unique, surreal, and unpredictable. Another reason to like this book is Klaus... and the 3 facts that he knows (he is just Friggin' adorable [and that reminds me, I want cake!]) Get the book and you'll know what I mean... better yet, get the audio version, and be captured by it's spell! When I first started this book, I was a bit confused as to what was going on. Once I realized 'who' the story teller was, I was hooked. 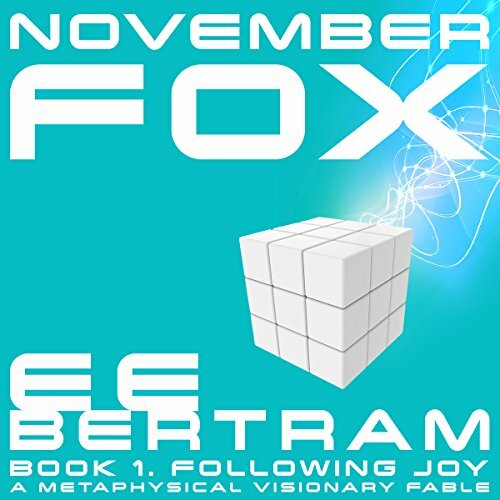 I loved the story of November Fox, the Architect and Jennifer. I loved the role of the Architect and the lessons learned by both November Fox and Jennifer. The question of 'who are you' is asked and, in a way, answered. Very thought provoking story. The way everything was brought together in the end was perfect. I listened to the audio book version of this book and James Abbott is a story teller. His character voices are outstanding and just all around excellent narrating. I have to admit it took me 6 chapters to figure out the background of the book and start piecing together all the elements of the story. I was amazed at how thoughtful the author was when creating the characters. It’s a trip into forever. It’s Peter Pan for grown ups. I’ll recommend this read to anyone who needs a jump start to see the world in a different perspective. I received this audiobook to review. I’m looking forward to purchasing book two. I enjoyed this story with the mix of 2 worlds and how the can cross or collide. I did feel that it was a bit long and took to long to get into the meat of the story. but i like action from the start.